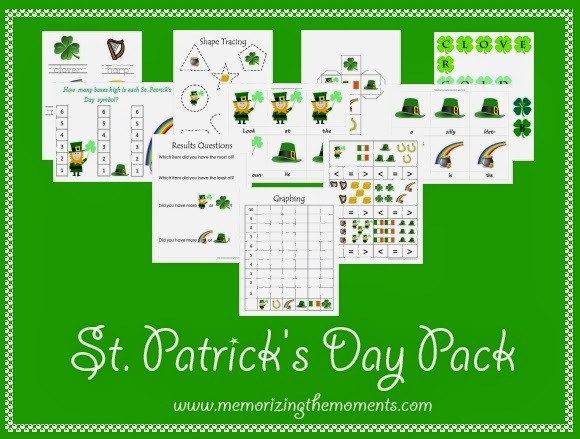 With St. Patrick's Day just around the corner, I have been going a little nuts pinning fun ideas of things to do with Xander's school. I know there are a ton of great things out there, which I will be using. However, I also wanted materials to suit his current skills, so I made some of my own. It includes spelling, sentence building, some math, and some tracing (still working on getting his fine motor skills to catch up to his cognitive ones). You're welcome to use any of the pages you'd like. Print it below!